One of the most pleasant surprises of last year's Star Wars sequel The Last Jedi was the return of Jedi Master Yoda, who appeared as a Force Ghost to give his words of wisdom to Luke Skywalker. It was a welcome return for the character, as we haven't seen this fan-favorite since Revenge of the Sith in 2005. This was really an appearance that few people were expecting, largely due to Lucasfilm's secrecy around the cameo. Yoda's voice actor and puppeteer Frank Oz, whose most prominent work was in The Muppet Show, recently spoke up about his willingness to return to the Star Wars franchise, how it came about, and how great it was to be back. "Several years ago I had lunch with [Director Rian Johnson]. And Rian asked if I could do Yoda in the next Star Wars, and I said 'Sure,' because I thought it was just CGI. And then [Lucasfilm President] Kathy Kennedy, who I've known for quite a while, who's fantastic, she called me about it and then I realized that it wasn't CGI, that it was actually the character... I said, 'Kathy, do you have any idea what's going to happen here? This is tough!' and she said 'That's okay, let's do it.' So, you know, the workshop made him and everything, and did a fantastic job." Oz went to discuss how secretive his involvement with the film was. While he was at the studio, he had to tell anyone who talked to him that he was working on the Little Shop Of Horrors reboot that has been in development since 2012. Additionally, Lucasfilm had to make sure that he was okay if his name wasn't at the bottom of The Last Jedi's poster. While this is typically against protocol, as any big name actor like Frank Oz is almost always contractually obligated to have their names on the poster, both Oz and Lucasfilm agreed to make an exception in order to maintain the secrecy. This isn't the first time that Frank Oz had to work on a Star Wars film in secret. Oz also had dialogue during Rey's dream sequence in The Force Awakens, as did Obi-Wan actor Ewan McGregor. For that film, both Oz and McGregor had to maintain secrecy, and neither were allowed to discuss their involvement until after the film's release. Another Star Wars project that Oz will likely have to keep secret about is the Yoda spin-off movie that was announced to be in development. While Frank Oz himself denied that he knew anything about the project, claiming he wasn't contacted to be involved yet, he did have some words for what we should expect to see from Yoda. "[Yoda] won't be a puppet. Believe me. That's way too difficult for me. I rehearse a long time just to do one line of dialogue [as a puppeteer]. It would have to be [CGI], yeah. It would have to be. It's far, far too difficult because I'm doing it with three other people. So it's four people and you can't just wing it. You've got to study every single word with four people." Whether or not the Yoda solo film will include the voice talents of Frank Oz remains to be seen. While he has not confirmed any connection to the project in speaking with IGN, he has also kept his involvement secret for the last two Star Wars projects he has worked on. However, it is safe to assume that Frank Oz would be more than willing to return as Yoda in his own solo film, assuming of course that he goes back to being CGI. 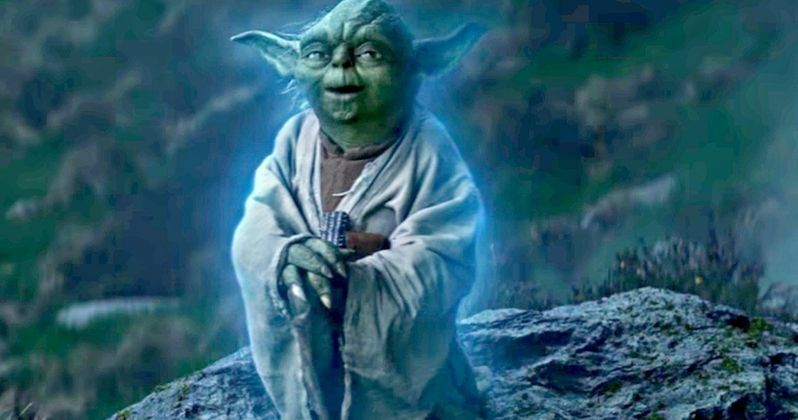 Regardless of how things play out in the coming years, I look forward to seeing Yoda return to the big screen in his own solo film, finally uncovering the mysterious past of the Jedi Master.